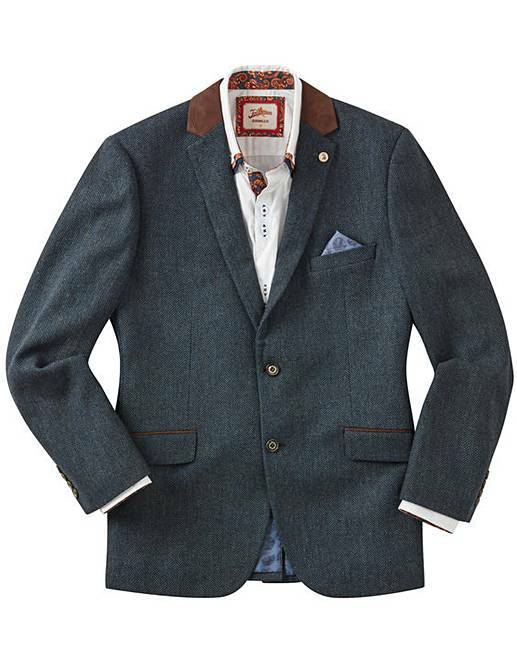 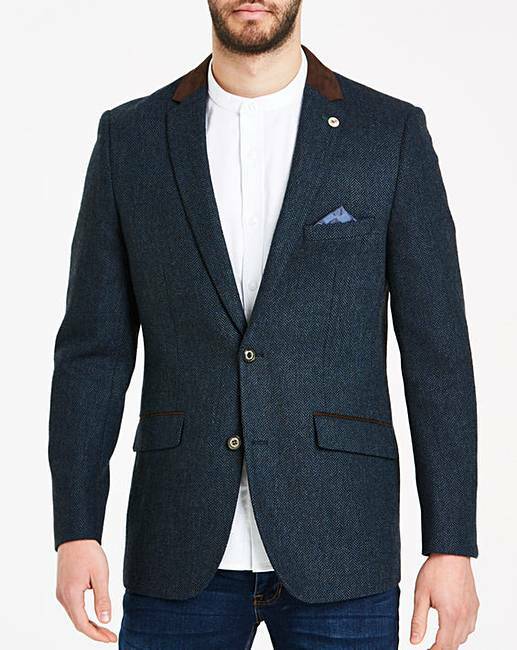 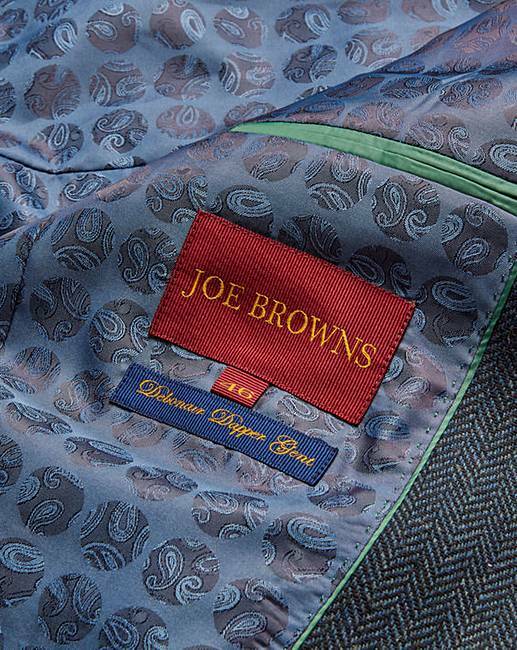 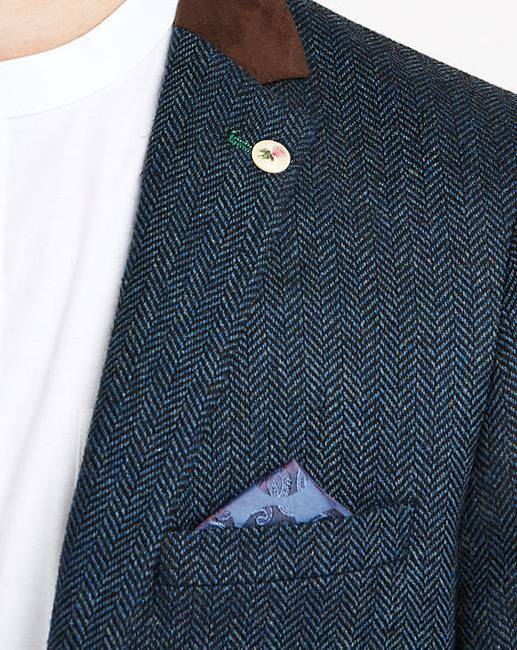 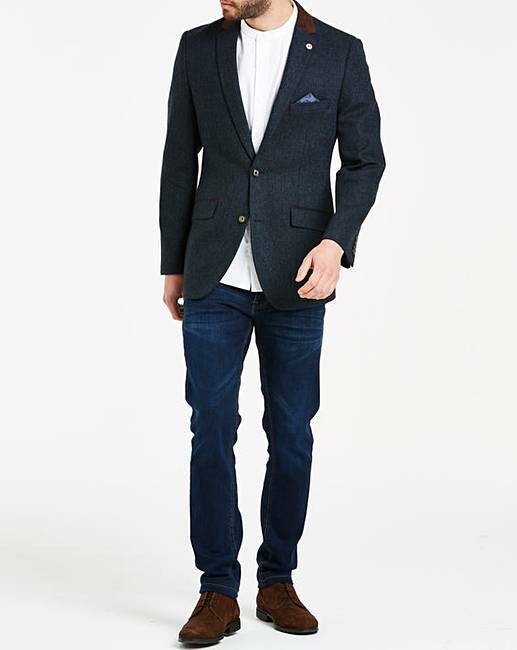 This rich petrol blue blazer is dapper style at its best. 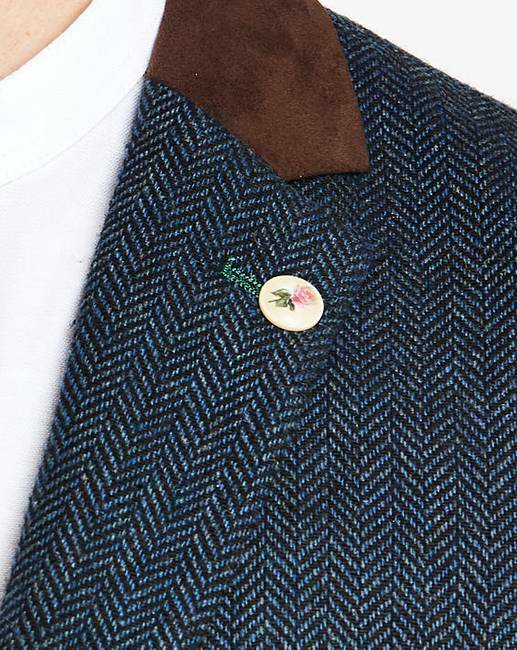 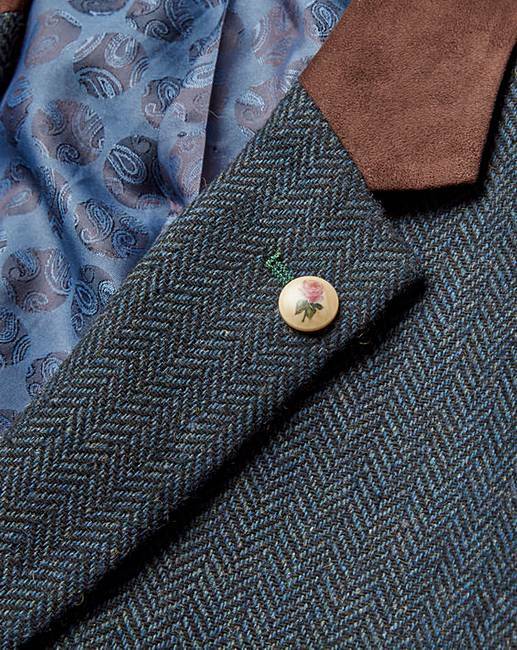 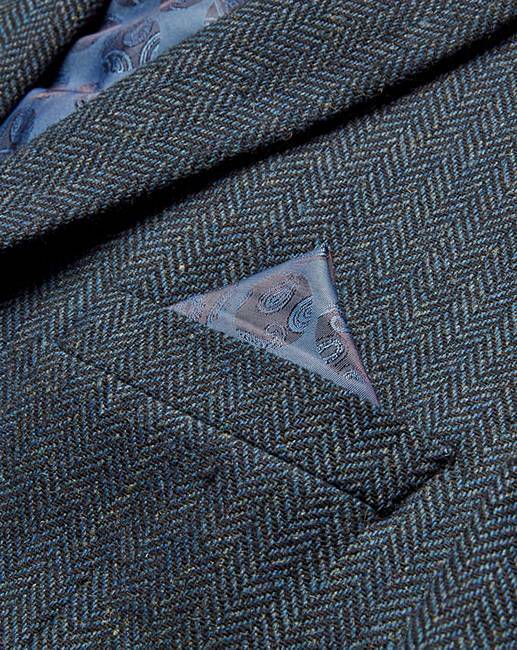 In subtle herringbone with a contrast lining, it's so adaptable for any occasion. 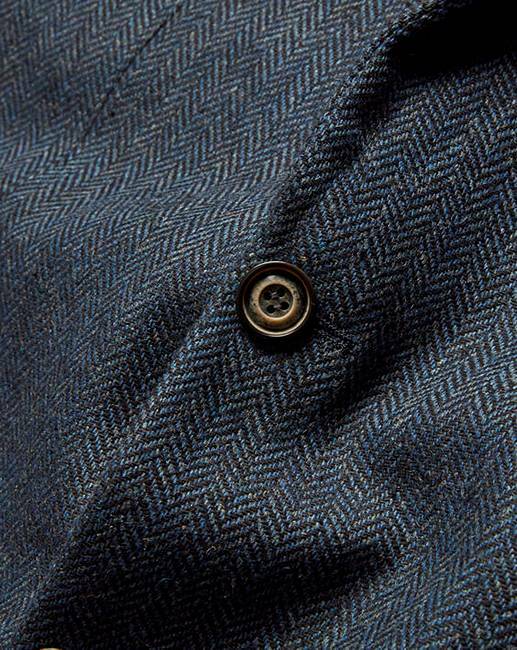 68% Polyester, 17% Wool, 9% Acrylic, 4% Viscose, 2% Polyamide.